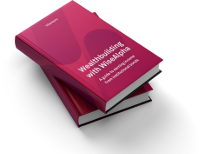 At WiseAlpha we're passionate about Institutional Corporate Bonds - an asset class that is only exclusively available to the biggest investors such as banks and pension funds. Quick and easy tips to build wealth in a low interest rate environment. Why is diversity so important when it comes to investment? Enter your details or sign in to claim your e-guide. Your e-guide should start downloading shortly. Please contact support@wisealpha.com if you don't receive it. There seems to have been an error sending you the guide. Please contact support@wisealpha.com and we'll send it manually.